This year my apple tree died, was in first few weeks of the leaf buds opening up and they never did, buds and leaves stayed unopened and dried up and tree stayed like this. I just removed it today, it was completely dry inside, broke off easily. Speaking to a man at a nursery, bought a 2nd pear tree... we chatted about the apple tree. I had thought fireblight was the issue but he says it is most likely my clay soil that is the real issue. 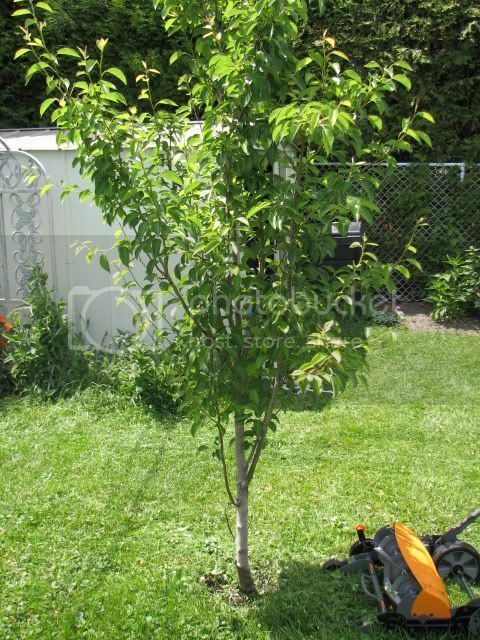 My 3 year old pear tree looks great BUT I hit the trunk today with the lawnmower and the trunk gave away very easily... I have pics will upload. Basically, the bark is almost flaking off! The rest of the tree looks great. I added some stuff to the bark, meant to cover bark and tree wounds. 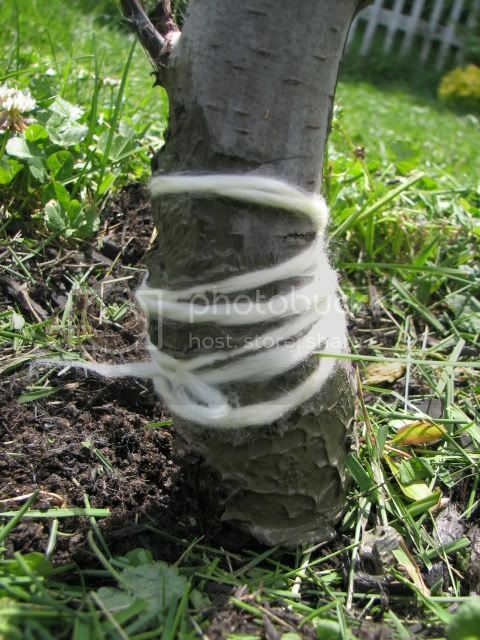 Tied it up so the bark an seal and heal. Here are the questions finally! 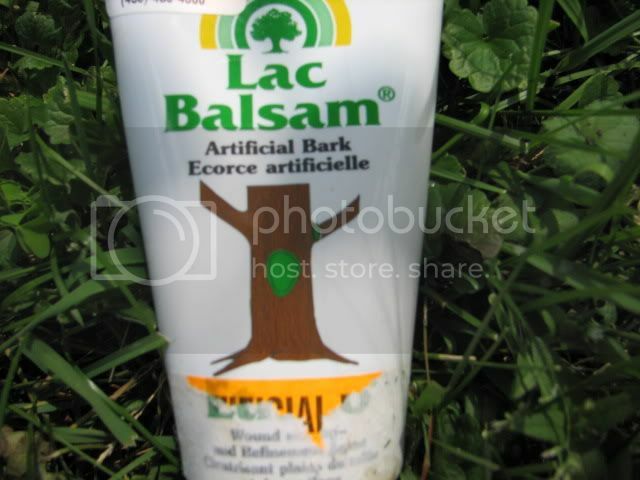 1- Do you think the soft bark could be related to the clay in the soil? Roots too wet? 2- What I did to the wound....is it ok? Anything else I can do? 3- I am thinking of removing the pear tree this fall and replanting it higher up. This is what the man at nursery told me to do. To allow the roots a dry place to be. Don't worry too much about your pear tree. Clay soils are not the best for good growth on a young tree ...but once its root system has got going there are several advantages. The tree will be far more stable..and clay holds nutrients far better than most other soils. Snag of course is that can get waterlogged and drown roots on young plants. All our orchards are on Wealden Clay...a stuff that you can line ponds with to make them watertight!!! So don't worry. Your tree looks great so unless you feel you must move it I would be inclined to leave well alone. As to the bark damage. The way that the bark has peeled back from the cambium is normal. I see that you have fastened it back in place. This may well heal over and a scar will form over the damage. We often do this sort of damage to our orchard trees with pieces of machinery when we are not taking enough care....clumsy peasants.lol. In fact growers many years ago would often actually remove whole strips of bark like that from trees that had grown too strongly to slow the growth rate down. Called ' bark ringing'. Thank you so much Jona! I know nothing about fruit trees and I know no one that has pear trees! Great to know about the clay! I did make a large hole when I buried it and added quite a lot of top soil-compost mix in the hole. One last question! I had compost at the base of the fruit trees but read that this was not good so I have removed it. What do you think? Leave bare earth and remove weeds as needed? You can leave it bare earth or mulch with well rotted compost to help keep moisture in. If you use a compost or manure though make sure that it is well away from the trees trunk...as it can scorch the bark and damage the tree. The whole purpose of covouring the soil is to retain moisture, If you can water the tree when it is needed then it is not so important.